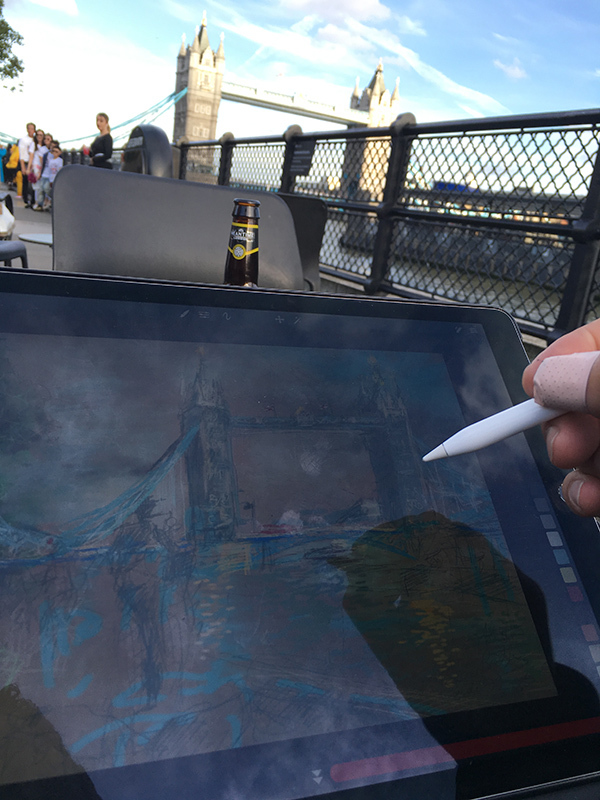 If you’re interested to learn how to draw and paint using this amazing combination of tools, I am teaching an Inspiration From Monet to Matisse iPad Art Workshop in San Francisco, April 28th to April 30th, 2017. 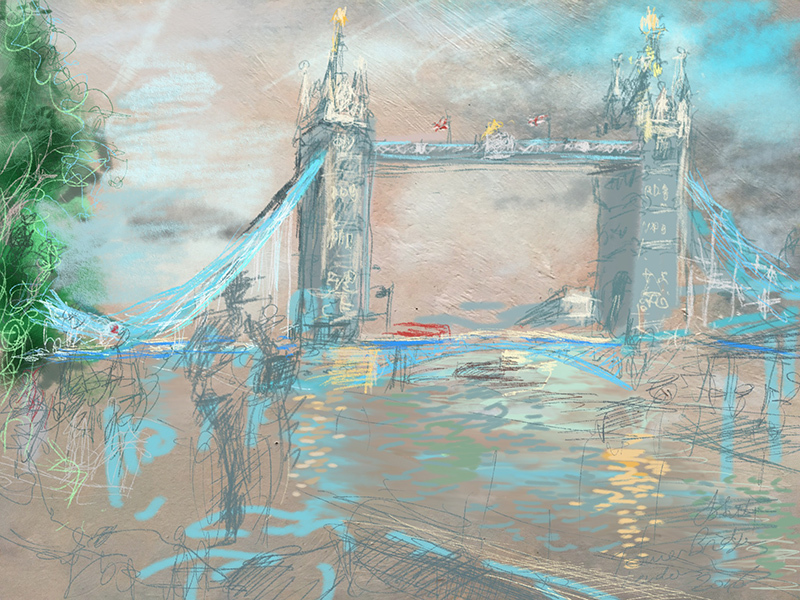 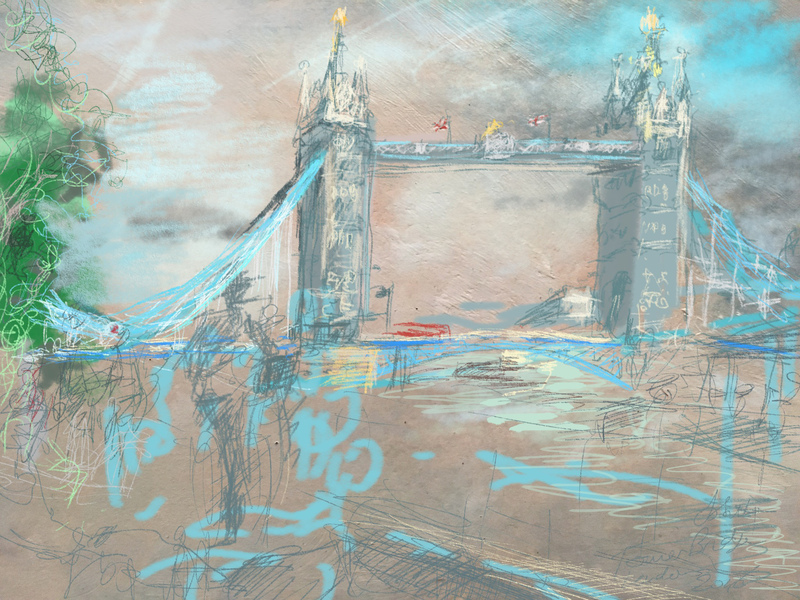 The subject of this drawing is the Tower Bridge on the River Thames in London. 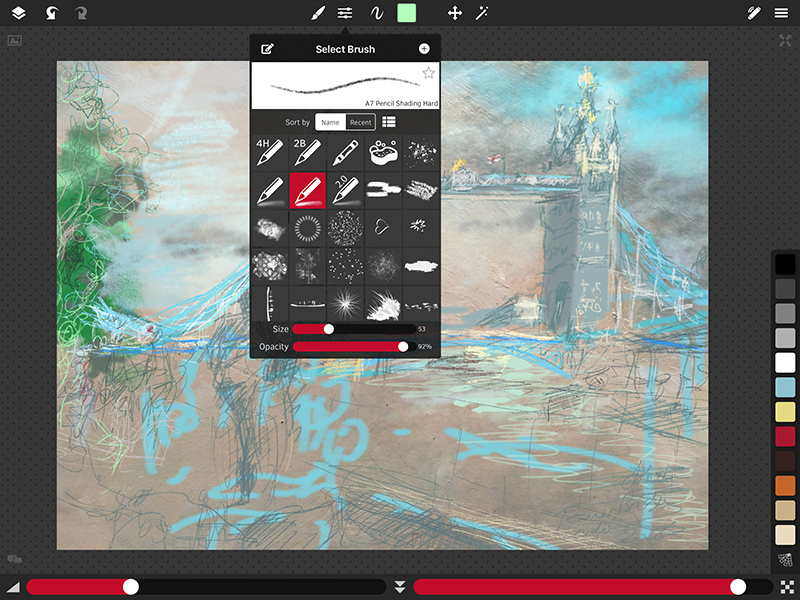 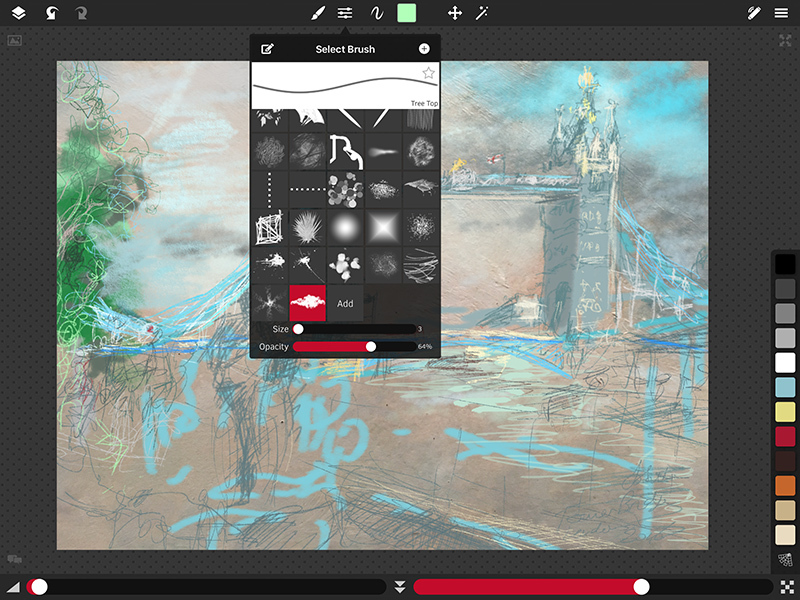 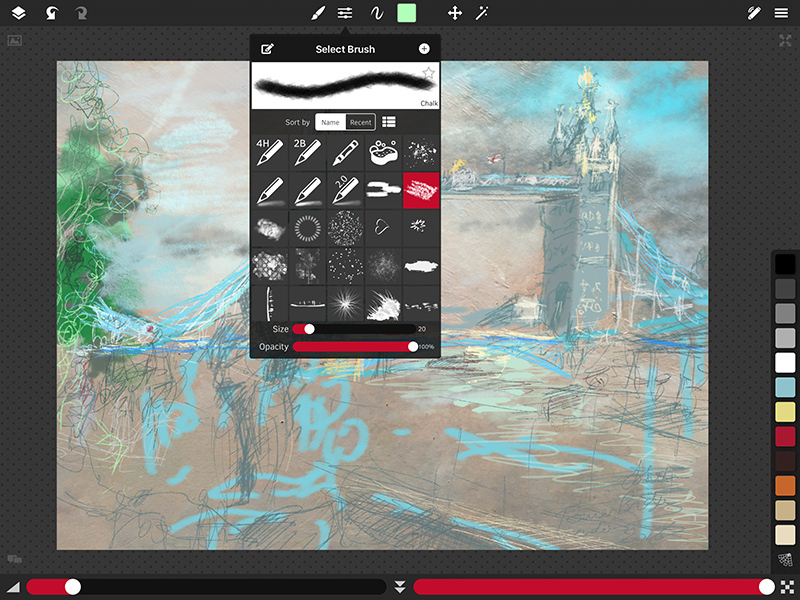 This iPad drawing was created directly from life, en plein air. 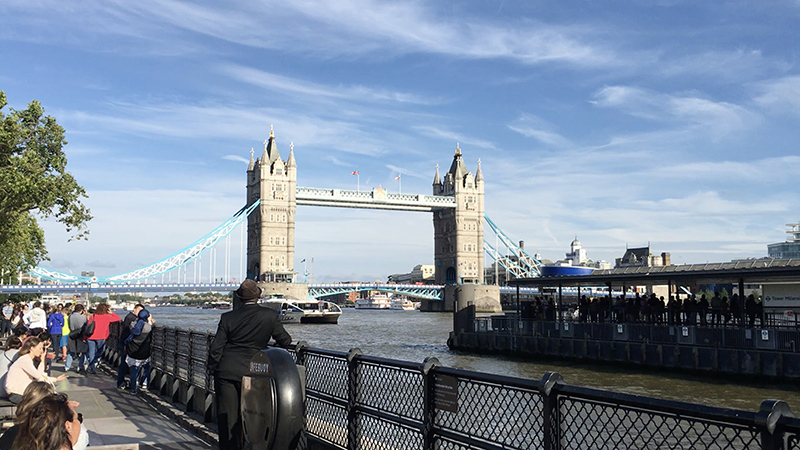 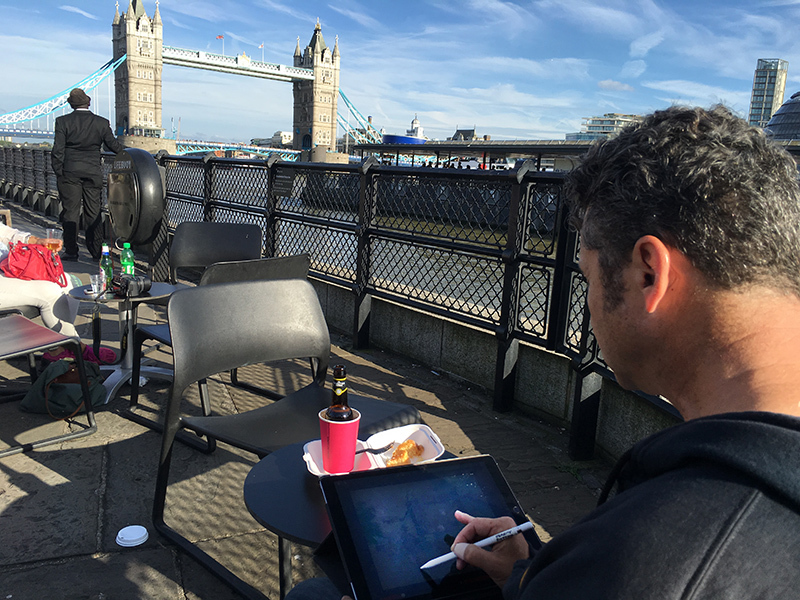 I sat on the embankment of the Thames, as you can see below, not far from the infamous Tower of London, and sketched directly onto my iPad Pro on a sunny (and slightly windy) afternoon, catching the late afternoon light as the sun gradually got lower and lower in the sky.